But before I get to that, let’s go back to the beginning, back to the early days of comic books, and look at some examples of what my friend is talking about. 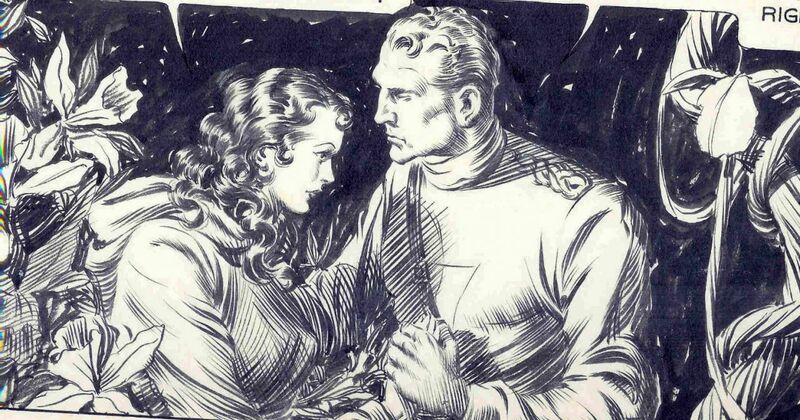 When we talk about early comic book artists, the ones my friend is referring to, the ones whose artwork can be seen as “crude” we’re not talking about the artists who worked for newspaper strips, artists like Alex Raymond, who drew the Flash Gordon strip, nor Russ Manning who provided the art for the Tarzan strip. The artists that we are talking about are the ones who worked for the actual comic books put out by the companies that would eventually become DC and Marvel. These companies did not start out the way we see them today. In the beginning they were hastily set up to fill a burgeoning need. The businesses were cheap and they produced a product that was cheap. Kin to the early pulp magazines, comic books were, back in the 1930’s an 1940’s, considered even lower than the gruesome and lurid pulps. The comic books were. quite literally, nickel and dime. They were printed on poor grades of paper. The businessmen who ran them were unethical. Some were outright crooks. They considered the comic book as a product to be ground out as quickly and cheaply as possible. They also considered their readers to be mentally defective children who didn’t need stories that had logic or made sense. The artwork was considered the same. Because they were pumping out product as fast as kids could drop nickels and dimes for them, these companies’ deadlines were impossible and called for more work than anyone could accomplish. They attracted young artists, kids themselves sometimes, with barely adequate skills. 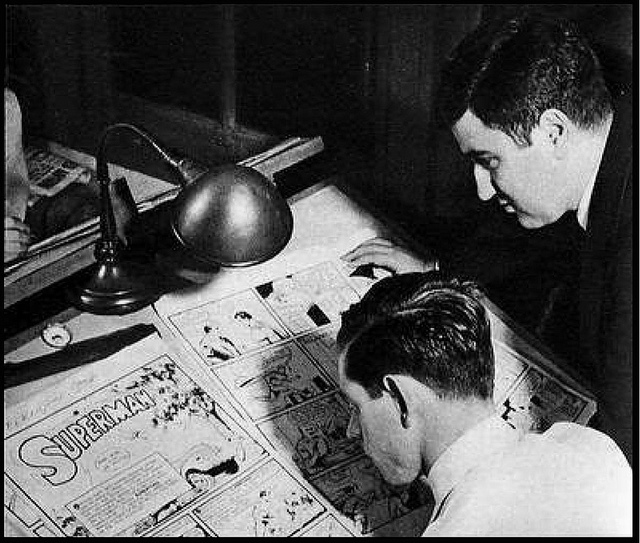 Think of Jerry Siegel and Joe Shuster, the creators of Superman. Lionized today, when they started out these two kids had more enthusiasm than skill. The young artists working for these companies were just happy to have a job, something hard to come by during the Depression. And a job drawing pictures? Sweet! But they were worked like slaves, sometimes being expected to turn around an entire book in one weekend. They worked in the companies’ offices sometimes with no heat in winter and very little food to keep them going. Thing is, if you were any good as an artist, you could find a better job, probably with the comic strips for the syndicated newspapers. Those jobs had more reasonable deadlines and much better pay. That’s where the artists who could create strong poses and proportional figures thrived. Comic strips had status, better deadlines, more space – some took up entire pages of the Sunday funnies, and so were able to reward the best artists with pay worthy of their talents. Back then, nobody cared much about the art in comic books. As long as the good guy beat up the bad guy it didn’t matter what they looked like. And, of course, there was the limitations of the printing process. Artwork needed to be simple, with strong, bold lines and clearly defined edges so that the colors could be applied easily. There was no time for subtlety, not room for complicated, pastel colors. That was all well and good for the Sunday funnies or the slick magazines that could afford to shoot separations from the artwork with a stat camera, ending up with four pieces of film that could be stripped together to produce a varied range of hues and colors. Printing before the advent of computers used two processes. Usually this acetate was rubylith, a product still used in screen printing today (to print on material and other substrates). Where the reddish film was cut away from the acetate ink would not print. Where the film was left ON the acetate, the camera negative would leave a blank spot, and ink would print. Separators would then use screens, dot patterns on sticky acetate, to create the screened back colors. The only screens they used were 25 percent, 50 percent and 75 percent. These were then stuck on the three acetate overlays. 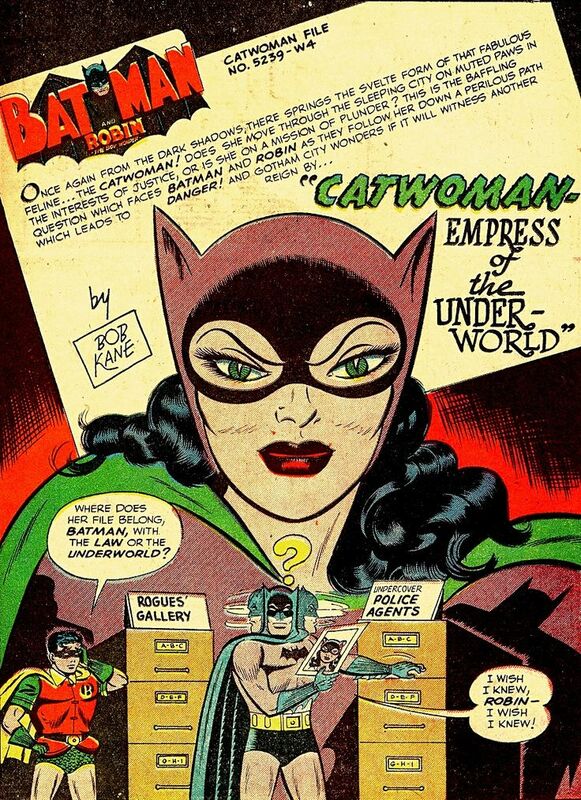 The process is why early comic books used a limited color palette. 100 percent cyan and 100 percent magenta is a deep blue; 25 percent cyan is a nice sky color; 100 percent magenta and 100 percent yellow is a bright red; 100 percent cyan and 100 percent yellow is a bright green; and so on. There was no way to check their work. Comic companies on a tight budget were probably not willing to shell out the extra bucks for color proofs. The separators’ work went right from rubylith overlays to the camera to shoot plates. 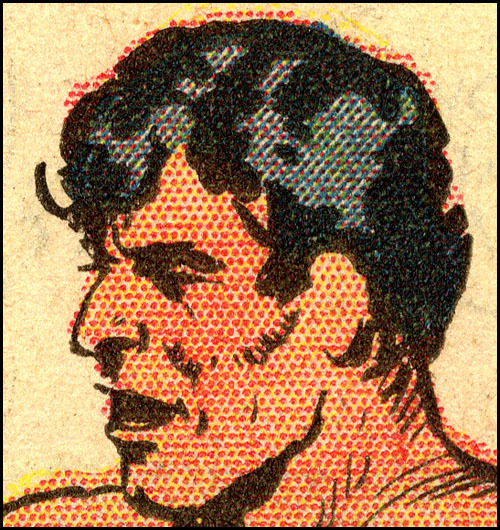 That is why a plate is occasionally missing from a color in older comics. The men and women doing this work were skilled craftsmen, usually working for printers, not comic companies. They worked on a tight deadline each month, churning out many pages a day. 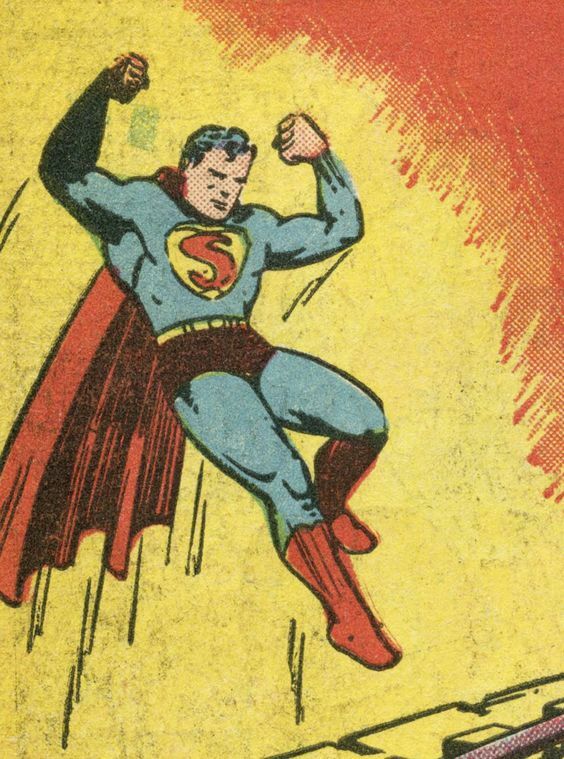 Much of the coloring in the first 35 years of comic books was crude and rushed, but the same can be said for the writing, penciling, inking and lettering. Next week I will go into some of the changes that shook up this early industry and paved the way for the comic books as they are today. 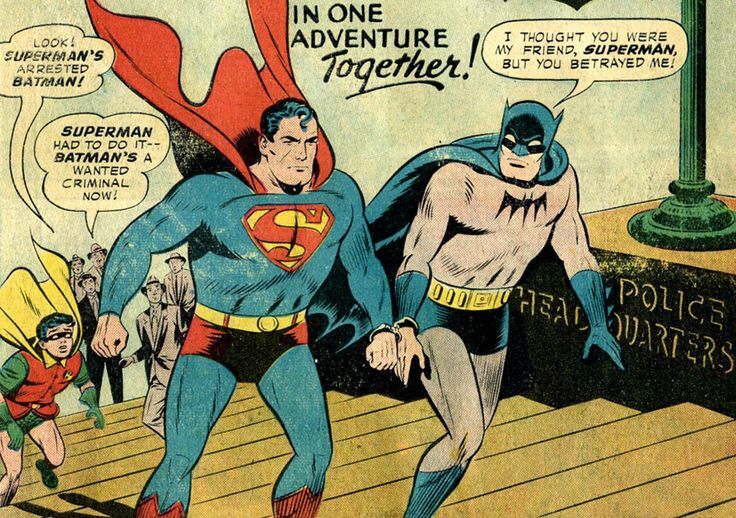 One thought on "Why was Early Comic Book Art so Crude? (Part 1)"